The Variable Moment (VM)/Resonance Free (RF) models omit low levels of vibration and noise which makes it ideal for use in urban areas. They are suitable for sand, gravel and soft clay soil conditions. 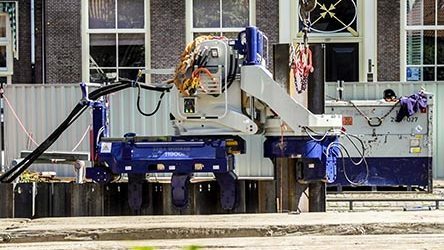 ICE (International Construction Equipment) is a Dutch company specialising in the worldwide production and distribution of high performance equipment for a wide variety of (deep) foundation jobs.